HOME ADDRESS: Village- Saunamara, Block- Balisankara, Disrict- Sundargarh, State- Odisha. FAMILY: Son of Gopal Rohidas and Gulap Rohidas, Amit has one elder brother and three sisters. RECEIVED COACHING FROM: Bijay Lakra, Kalu Charan Choudhury and A K Bansal. PRODUCT OF: Government Hockey Hostel, Panposh, Rourkela. * He was part of the Kalinga Lancers team that emerged champions in the 5th Hockey India League, held from Jan 21 to Feb 26, 2017. * He was a member of the Railway team that emerged champions in the 6th Hockey India Senior Men National Championship (Division-A), held at Saifai in Uttar Pradesh from April 20 to May 1, 2016. 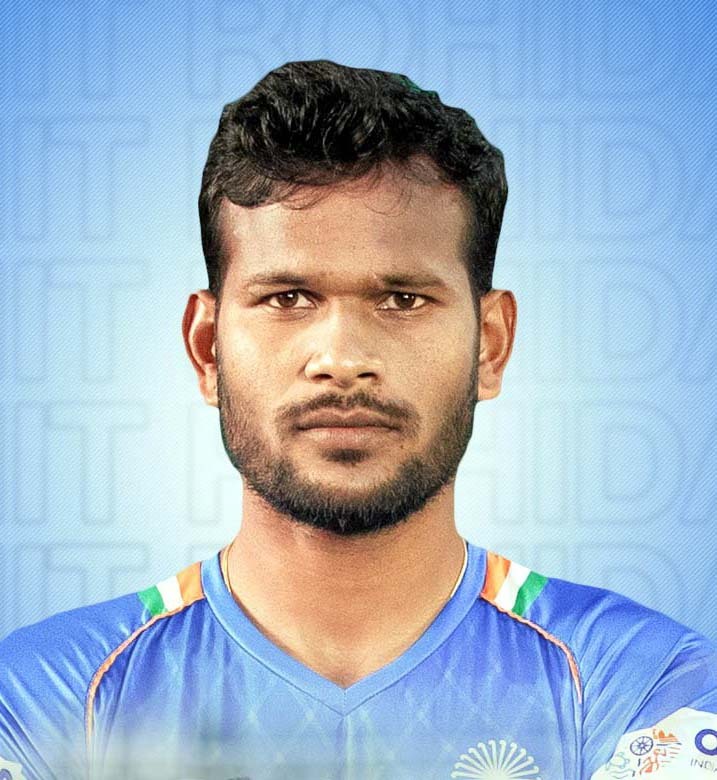 * He was a member of the Bhubaneswar-based Kalinga Lancers team that finished runners-up in the 4th Hockey India League, held in India from Jan 18 to Feb 21, 2016. * Helped Railway win the title in the 5th Senior Men National Hockey Championship (Division-A) at Pune on April 28, 2015. He scored three goals in the final against UP to be adjudged the best defender of the tournament. * Represented Railway in Hockey India Senior Men`s National Championship at Bhopal in 2011 and at Bangalore in 2012. * Represented Odisha in the Under-16 National Hockey Championship in 2006. * Represented Birsa Munda Vidyapitha in the Nehru Cup Hockey Tournament twice in 2007 and 2008. * Represented Odisha in 2008 National School Games. * Participated in the Mumbai Gold Cup Tournament in 2009. * Represented Odisha in 2011 National Games at Ranchi (Jharkhand). * Represented Odisha in 2011 Senior National Hockey Championship at Bhopal (MP). * He was part of the Indian team that claimed the silver medal in the 28th Sultan Azlan Shah Cup Hockey Tournament, held at Ipoh, Malaysia from 23-30 March, 2019. * He was part of the Indian team that won the silver medal in the 37th Men’s Hockey Champions Trophy Tournament, held at Breda, Netherlands from June 23 to July 1, 2018. * Reached the milestone of 50 international matches for Indian men’s hockey team at the Gold Coast Commonwealth Games against Malaysia on April 10, 2018. * He was part of the Indian team that won the bronze medal in Men’s Hockey World League, held at Kalinga Stadium, Bhubaneswar from Dec 1 to 10, 2017. * He was part of the Indian team that won the Men’s Asia Cup title for the third time at Dhaka, Bangladesh on Oct 22, 2017. * He was the vice-captain of the India-A team that finished 4th in the Australian Men’s Hockey League, held at Perth from Sept 28 to Oct 8, 2017. * He was a member of the Indian men’s team that won three matches (2 vs Netherlands, 1 vs Australia) and lost two (both vs Belgium) during their Europe tour from August 9 to 16, 2017. * Represented India in the 2011 Sultan of Johor Baru Cup in Malaysia and in 2012 he was part of the team that finished runners-up. * Helped India win bronze medal in the 7th Junior Asia Cup Hockey Tournament at Melaka (Malaysia) in May, 2012. * Scored seven goals for India in U-18 Asia Cup Hockey Tournament in Myanmar in 2009. * On March 4, 2017, he was provided with a total cash award of Rs 5.78 lakhs, which included Rs 1 lakh from State Sports Department and Rs 4.78 lakhs from HIL prize money. * Rohidas started playing hockey in his Saunamura village, from where hails Indian legend Dilip Tirkey. * He chose to play hockey because he felt dejected after his village team lost in an inter-village hockey match and took to the game to make his village proud one day. * Played his first ever hockey match was in his village and was awarded a brand new hockey stick. * Joined Government Hockey Hostel in Panposh in 2004. * He represented the Hostel in many district and state-level tournaments. * Electricity facility was provided to his village after 2012. * His youngest had to leave her studies because they could not afford the expense. * His family had no land of their own and his father used to work in others’ fields. * After playing Hockey India League, he bought a fridge, TV, cooler and grinder. Now he has a home, car and a good phone. * Once a girl wrote her Facebook ID on a handkerchief and gave it to him. In return, Amit gave her a ticket for a Ranchi Rhyno’s HIL match.